Mezzanines by Panel Built are one of the best options available on the market for those interested in finding something worthwhile and feasible. Most property owners are found searching for a method to ensure the space purchased is maximized and used efficiently. Yet, there are minimal options available to get this done without having to get the property extended or purchasing new land. Most budgets cannot afford such renovations and/or extensions without going into bankruptcy or serious financial struggle. What option do property owners have in this situation without having to pitch in extensive amounts of money? 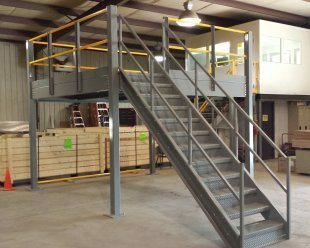 Mezzanines by Panel Built are an option trusted by property owners to ensure results can be found with a cost-efficient, high-quality option. What does a mezzanines by Panel Built have to offer those interested in finding a great solution to their spatial predicament? It has the ability to create newfound space using the availability of height by creating a “floor within a floor”. It does not get easier than this and it is useful for those who have a lot of space available vertically, instead of horizontally. Let’s take a look at the benefits of these mezzanines as a whole. One of the major benefits and ultimate uses of these mezzanines is to create a new floor within the same environment. Instead of constructing an entirely new floor, which comes along with additional costs that can become unfeasible (i.e, piping, heating, cooling) and out of reach, this solution maximizes resources. The same environment accentuates the amount of air space that can be found within most industrial properties. With higher ceilings, the opportunity to maximize space can increase. The best part about this new floor is the ability to carry as much load as one wants. It does not have massive restrictions as to what can be stored up on it. The mezzanines are built by high-quality, proven materials that will ensure the job gets done required. Mezzanines do not always have to be the same, they come with particular requirements in accordance to the client’s demands. The team will sit down with the client and sift through the dimensional and situational requirements prior to coming up with a solution that works for both parties and is of the highest quality. The final project can be customized to meet the underlying needs of the client. 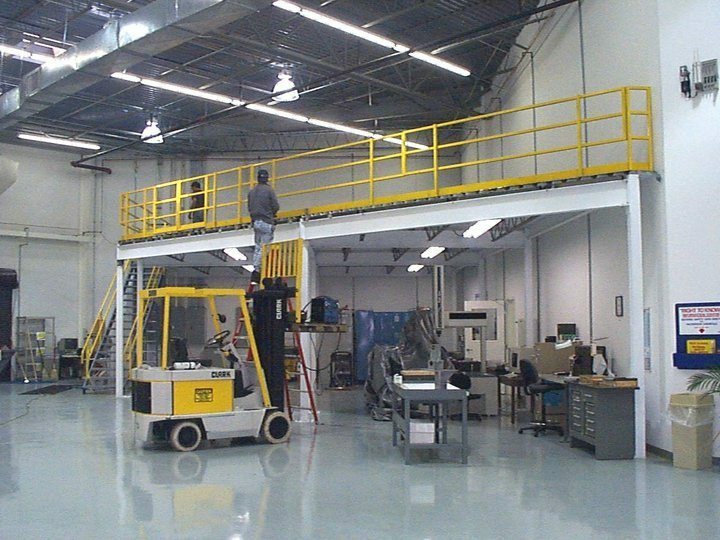 Each industrial unit is built for specific tasks and they should be able to maximize efficiency with the expansion of the floor via mezzanine. This can include the amount of weight being held on the new floor, the kinds of connections required to the main floor, and other related items that can increase efficiency. Upon being called, the team sets up an appointment with the property owner in order to ensure the final results are as required. This includes being able to pinpoint the type of space being used and the overall finish desired by the client. The team is experienced and understands what is required to get the job done properly. The team will take a look at the structural requirements of getting the new mezzanine built and designed in correlation with everything surrounding it. This ensures the final results are perfect and can do the job required of them to a tee. Meticulous assessment does not only include the pre-stages that come along with the process. The team is constantly remaining in touch with the property owner to get the results that work for both parties in efficiency and cost. If there are changes that can be made, the team lets the property owner know beforehand in order to make a final decision right away. The best part about getting a mezzanine over simply extending the floor is to ensure the investment is a worthwhile one. Most industrial units never require another floor in their lifetime because the mezzanine is able to do an excellent job. The “one-time investment” factor comes into play through the reality of requiring minimal repairs in order to get the job done. The mezzanine is made out of sturdy material and does not require a lot of repairs over a long period of time. Most floors will require repairs as they are a separate space and have their own factors involved such as (cooling, connections, and related realities). This is one factor that is often overlooked, but can be the difference between saving money and losing it. If the industrial unit is being shifted from one spot to another, the mezzanine can be refurbished to get another perfect finish. This is essential for those who are constantly shifting from place to place and require results that are effective and equal in all related factors. Being able to refurbish the mezzanine is a major plus point and one that can never be done with a separate floor.